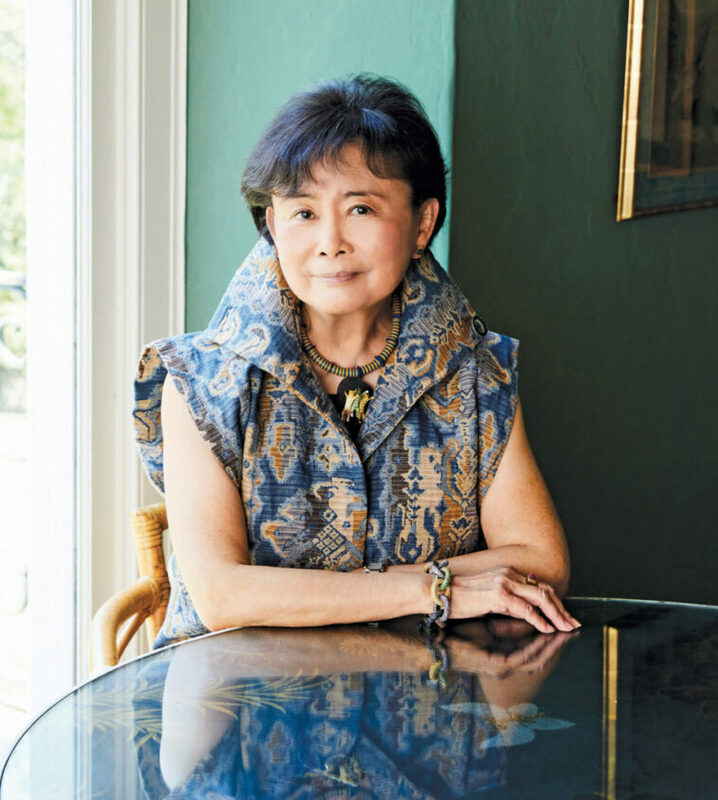 A longtime supporter of the USC Leonard Davis School, Mei-Lee Ney is a member of its board of councilors and previously funded an endowed scholarship for USC gerontology students. In 2017, she was awarded the Dean’s Medallion, the school’s highest honor, in recognition of her contributions. Ney also serves as a board member of the USC Pacific Asia Museum. The Pasadena resident is president of Richard Ney & Associates Asset Management Inc., a firm she helped run with her business partner and late husband, Richard, since 1973. From 1976 to 1999, Ney helped produce The Ney Report, a popular investment newsletter. She also edited two of her husband’s books on the stock market, The Wall Street Gang and Making It in the Market. Her other passions include community and arts organizations, and she is involved with Founders at the Music Center, Otis College of Art and Design, LA Opera, Caltech Associates, Huntington Hospital and Huntington Library. By any measure, we think this Shanghai-born investment advisor and philanthropist is second to none. Meet her here with this in-her-own-words introduction. My great-grandfather was the governor of Yichang, China. My grandfather was a scholar and raised my mother as though she were a boy, tutoring her in math and literature until he sent her to high school. Education for women in those times in China was very unusual. She was far ahead of her classmates. After graduation, he told her, “The world is changing. Women must also learn a profession,” and sent her to a business college. 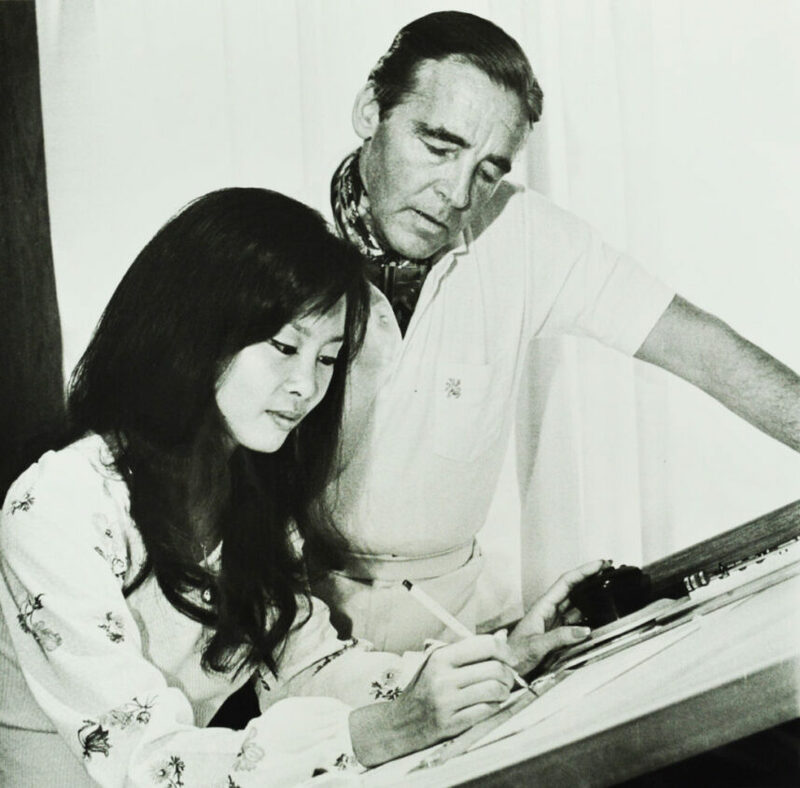 When the war with Japan broke out, she got a job in banking in Hong Kong. She was the only woman working at the bank. There was not even a ladies’ restroom. In 1947, six months after I was born, my mother had an opportunity to visit her sister in the U.S. While she was in this country, my father wrote her and said, “Don’t come back. The Communists are invading. Try to get us out of here.” She got a job with the International Monetary Fund and worked there for a year and a half before she qualified to send for her family. Chinese weren’t allowed to immigrate at that time because of Communism, but we were able to leave because of the special NS-4 passport issued by the U.S. Senate for foreign workers and their families who were employed by international organizations such as the United Nations, the World Bank and the International Monetary Fund. Fortitude and hard work came naturally to me from my mother’s example. Loyalty to family was taken for granted. She supported her six siblings and their families in China for more than 30 years. When we left China, we left everything behind. My father could not find a job and died from cancer at age 39, three years after we arrived. My mother had a good job, but we only had the bare necessities because she sent most of our money to support relatives in China. Money was always scarce. My father died when I was 5, so my mother had the greatest influence on me, but not in the way you might think. She was overwhelmed being a single mother with two daughters, running a household by herself, holding down a challenging full-time job and trying to acclimate herself to a new country, a new language and a new culture. Consequently, she did not pay that much attention to my sister and me. It suited me perfectly because I was very independent and liked being left to my own devices. I spent a great deal of time reading and exploring my surroundings by myself. I’m a very happy person today, and I credit much of that to my mother who (perhaps unwittingly) allowed me to make my own decisions. She gave me one very important lesson: When making choices, she told me to make a list of the positives and negatives and see which list was longer, and also to evaluate which items on the list were the most important. Her father taught her the same thing. I’m also very practical, which I got from observing my mother. I grew up wearing my older sister’s hand-me-downs and was happy to receive used toys at Christmas from our church. I remember when I was 10, I asked my mother for a pair of patent leather pumps that girls my age were wearing to church. She said, “You can have anything you want, but we don’t have any money, so you have to earn it yourself.” That was the best advice she ever gave me. I started a little business and went around the neighborhood, knocking on doors to offer my services. I charged 1o cents to trim a bush, 50 cents to rake a lawn, $1 to mow a lawn, $2 to wash a car and $5 to wax a car. In the next few years I also began to walk dogs and babysit and sold pot holders door-to-door that I had made at home. Although I did many chores at home, I never received an allowance, but I got to keep everything I earned and to spend it on whatever I wanted. When I attended college, I earned my room and board and tuition by working during holidays and summer breaks. I always had several jobs. One summer in Washington, D.C., I had five. During the day I was a legal secretary, at night I worked at the Whiskey-a-Go-Go in Georgetown, and on weekends, I was a cashier at a drive-in movie theater, typed a manuscript for a woman writing her autobiography, and ran errands for a woman who was in a wheelchair. I feel very fortunate to have had this early training. I credit it with developing much of my character and determination and my ability to work hard, focus and delay gratification. It really set the tone for the rest of my life and any success that I’ve had. I was a fast typist and earned money during college by working for temp agencies during school breaks. I was always observing what the bosses were doing at different businesses to see if that was something I would want to do. I found the investment business after I was hired to type confirmations for a brokerage firm that was coming out with a new offering. There was no room in the secretarial pool, so a desk was set up for me with the brokers’ cubicles. As I typed, I could hear the brokers describing the new issue, a computer firm, in glowing terms and taking orders. The offering price was $2.25 a share. The brokers were only letting their clients buy small amounts. I was typing confirmations for 25 and 50 shares as I listened to the brokers’ sales pitches. The stock sounded so tempting that I asked my mother if I could borrow $225 until the next payday, and then went to the president of the brokerage firm and asked him if I could buy 100 shares. At first he was shocked, but then I think he was amused that some unknown temp would ask for more shares than favored customers were receiving. He finally sputtered, “OK. OK. I’ll let you buy 100 shares.” Two months later, the stock was at $60 a share and I thought, “If money can be made so easily, this is the business for me!” I’ve learned a lot since then. In my first firm as a broker, I was the only woman. In the last firm I was with before becoming an investment advisor, there were two women in my office. I’m sure the men looked at me askance, but I didn’t care. We started every month with a blank slate, and our monthly pay consisted entirely of the commissions we earned by selling stock. I was glad to have a job in which I could compete equally with them and do better than most. My husband [Richard Ney] was a very independent thinker and an intellectual. He was a voracious reader. Once he discovered how the markets operated and who controlled them, he researched the system, including the financial regulations, going back to the founding of the New York Stock Exchange. He was also a great humanitarian and a champion of the underdog. It was natural for him to want to share his knowledge and help the average investor. My husband primarily viewed himself as an educator. As the editor of his books and all his communications, my job was to make his theories understandable to our clients, subscribers and readers. Fortunately, you don’t have to be good at math to be in finance! At first, I was motivated by money and by receiving equal pay for equal work. I am now past retirement age, but I stay in it because I am concerned for the well-being of my clients. I work because it’s one of the ways in which I give to others, which I enjoy. Learning new things and having new challenges and insights is one of the keys to my happiness. Engaging with people and having meaningful relationships is very important to me. I recharge my batteries by being alone. Since aging is inevitable, I accept it, hopefully with grace. But at the same time, I want to go down fighting, so I exercise, eat well and maintain healthy habits in order to continue to feel as well as possible for as long as possible. I’m glad to have learned and evolved into a happier person over the years. A positive attitude is key. I hope others will appreciate the wisdom that can come with age and maintain their health and sense of fun and adventure.